This chapter demonstrates about the SVG Basic Shapes. 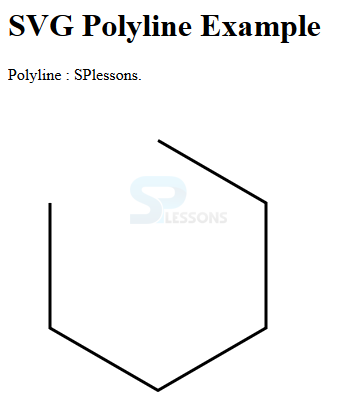 SVG provides some basic shapes to draw the images, by using these images user can build the documents following are the concepts covered in this chapter. 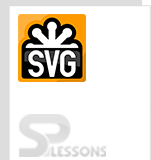 SVG have several basic shapes by using these shapes user can build the some images. Shapes are very useful while building the projects, following are some basic SVG shapes. User can draw the circle by using the <circle> element which consist of some values like center point and radius. 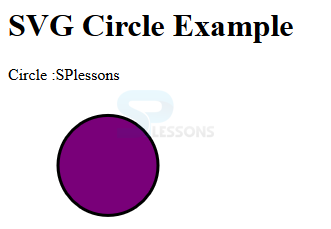 The code below demonstrates drawing a circle using SVG. <circle cx="100" cy="100" r="50" stroke="black"
In the above code cx and cy known as the center of the circle and r is known as the radius of the circle. Run the above code in a preferred browser the output get display as shown in below image. User can draw the SVG Rectangle by using the <rect> element. The size of the rectangle adjusted by height and width attributes and fill property is used to fill the color of the rectangle and stroke-width property used to fill the border of the rectangle. 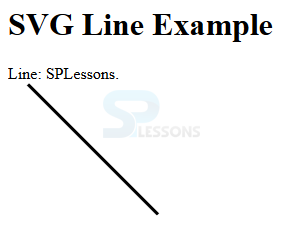 The code below demonstrates to draw the SVG rectangle. <rect x="100" y="30" width="300" height="100"
<line x1="20" y1="20" x2="150" y2="150"
User can draw a straight line by using the <poly line> element. The code below demonstrates drawing a straight line using poly line shown below. <polyline points="150,75 258,137.5 258,262.5 150,325 42,262.6 42,137.5"
By using the <polygon> element user can draw a polygon. 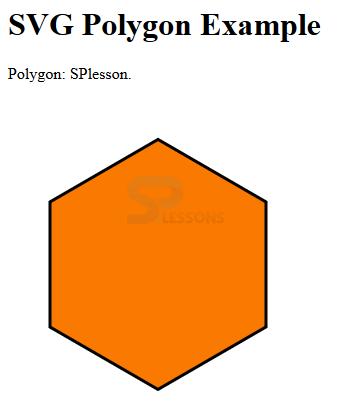 the code below demonstrates drawing a polygon using SVG. 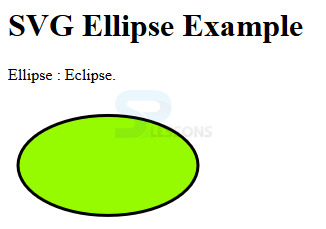 <polygon points="150,75 258,137.5 258,262.5 150,325 42,262.6 42,137.5"
User can draw the Eclipse by using the <eclipse> element which contain x, y and radius the difference between the circle and eclipse is circle contains same values of x, y and radius but in eclipse radius is difference from x,y axis’s. The code below demonstrates drawing an eclipse. <ellipse cx="100" cy="100" rx="90" ry="50"
Poly line which contain only straight lines. Basic SVG shapes supported by all the browsers. Line can be draw from starting point to ending point.